From Puno we took a shuttle boat out to Amantani, a large island in Lake Titicaca. There we were picked up by a local family and taken to their home. Having worked the soil for centuries, the local farmers grow corn and potatoes cultivating the entire island. 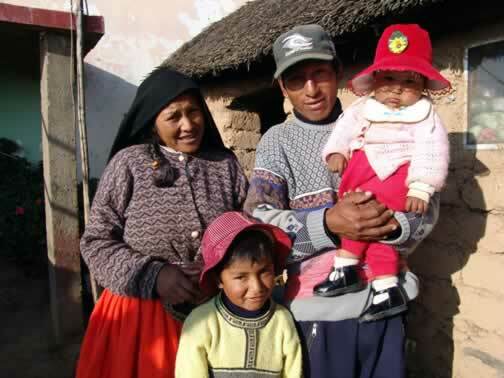 The family gave up their bedroom for us, moving the entire family down to the kitchen area, which was no more than an elevated earth hearth and a table under a thatch roof. Our meals consisted of eggs, potatoes and an occasional guinea pig.